The 14th October 2011 episode of Friday Night SmackDown! starts with a video recapping the return of The Big Show and the events that followed it last week, followed by SmackDown!’s General Manager Teddy Long making his way out onto the stage along with new Interim General Manager of Raw John Laurinaitis. Long says that everyone is a part of history as this episode of SmackDown! moves it up to second place on the list of the longest running TV programmes, which Laurinaitis clarifies is second only to Monday Night Raw. Laurinaitis says that he is there not only as the Vice President of Talent Relations, but also as the Interim General Manager of Raw, to lend Raw’s support on this special night. Long says that when they have all of the WWE Superstars under one roof, there’s nothing better than to have the biggest battle royal in WWE history, with Laurinaitis adding that to make it even better, the winner of the battle royal will have a title match against the champion of their choosing, later on in this episode of SmackDown! No time is wasted as Raw and SmackDown! Superstars make their way to the ring for the battle royal, with the battle royal being won by Randy Orton, when the fight between him and The Miz on the apron allows Orton to hit an RKO on The Miz that makes The Miz hit the floor first. Josh Mathews approaches Randy Orton afterwards and asks him which champion he is going to challenge later on, to which Orton says the decision is quite easy, pointing out that on Raw he said that vengeance would be his (click here for our Raw report). Orton says that he chooses to face Mark Henry, and he says that not only will vengeance be his, but he will take back his World Heavyweight Championship. Backstage, Alberto Del Rio is shown walking through the halls with Ricardo Rodriguez, when Teddy Long yells and asks him where he is going. Del Rio points out that Orton chose Mark Henry, suggesting that it is probably because he doesn’t think that he can beat Del Rio, which he says that he doesn’t blame him for. He says that he doesn’t have a reason to stay, so he’s got a party to go to with his friends, but before he can leave, Long stops him. Long tells him that he is right that Orton chose Henry, but Del Rio is going to go one-on-one with Sheamus. Back in the arena, Beth Phoenix (accompanied by Natalya) takes on Kelly Kelly (accompanied by Eve Torres) in a match which sees Beth get the victory, when she hits Kelly with the Glam Slam for the 3-count. Next, the blue-attired Sin Cara is set to have a match, but he is shown being attacked backstage by the black-attired Sin Cara. The black-attired Sin Cara ends up taking the mask of the blue-attired Sin Cara, and walking away with it, before taking off his own mask, comparing them, and putting on the blue mask, while slapping his own black mask aside. Justin Gabriel is pitted against the black-attired Sin Cara (now wearing the blue mask) as he has apparently taken the place of the blue-attired Sin Cara, in a match which sees Sin Cara get the victory when he hits Gabriel with a senton bomb for the 3-count. Backstage again, Teddy Long talks to Air Boom (Evan Bourne and Kofi Kingston) and says that he saw what happened on Raw, so he can’t let Bourne compete as his safety is his main priority. 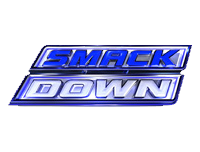 Vickie Guerrero interrupts and demands that Air Boom defend their titles against Dolph Ziggler and Jack Swagger on this episode of SmackDown!, thanks to Swagger and Ziggler beating them last week. Long says that he’s not going to do that on this episode of SmackDown!, but Zack Ryder then interrupts and says that he heard what she said, and as the assistant to the SmackDown! General Manager, he thinks that Swagger and Ziggler should face the team of Kofi Kingston and himself. Teddy Long is happy to make that match, wishing luck to everybody involved, before he and Ryder seem to get into a “Holla Holla Holla” vs. “Woo Woo Woo”-off – until Vickie proclaims the situation ridiculous and storms away. Back in the arena once more, Alberto Del Rio goes against Sheamus in a match which sees Del Rio get the victory with an enzuigiri on the turnbuckle that he follows up with a kick to the head for the 3-count, after the interference provided by Christian behind the back of the referee who was being distracted by Ricardo Rodriguez. Afterwards, Christian hits Sheamus with two spears – though Sheamus is still able to get to his feet as Christian looks on in disbelief from the ramp. Next up, Jack Swagger and Dolph Ziggler (accompanied by Vickie Guerrero) are pitted against “Long Island Iced Z” Zack Ryder and Kofi Kingston (accompanied by Evan Bourne) in a tag team match that sees Zack Ryder get the victory for his team, when Kingston hits Ziggler with Trouble In Paradise behind the back of the referee, and drags Ryder onto Ziggler for the 3-count. Matt Striker interviews Sheamus about Christian’s interference earlier in the battle royal and then the match against Alberto Del Rio, with Sheamus saying that he finally has to realise that Christian is a pain in the arse that he can’t get rid of. He says that Christian reminds him of a troll named “Gilby” from Ireland, one that he says was ugly, slow, and dim-witted. Sheamus says that one day, a man was walking across the bridge and the troll ran out behind him and bit him on the arse. Sheamus says that it would happen time and time again, until a great white bull crossed the bridge and the troll tried to do the same, but he says that the great white bull booted the troll right off the bridge. He says that what he is trying to say is that Christian is the troll, and he himself is the bull, so the next time he sees Christian, he is going to boot his ugly, slow, and dim-witted face right off his skull. After a video recapping the events involving Mark Henry and The Big Show last week, Randy Orton takes on Mark Henry for the World Heavyweight Championship in a match which sees Orton get the victory, but Henry retain the title due to it being a disqualification, thanks to the interference from Cody Rhodes. Afterwards, Rhodes tries to once again place a paper bag upon Orton’s head, but before he can do so, The Big Show hits the ring to make the save, causing Rhodes to quickly bail out. Show heads straight for Henry and knocks him down with a shoulder tackle, and it is at this point that Rhodes tries his luck, diving off the top rope towards The Big Show. It is to no avail however, as Show catches him, and shoves him in the direction of Randy Orton, who hits him with an RKO. Orton attacks Mark Henry and returns the favour, sending him towards The Big Show, who hits Henry with a chokeslam. The Big Show and Randy Orton stand tall in the ring celebrating, as SmackDown! goes off the air.